Here at New Image Tiles, Kitchens & Bathrooms, we understand that choosing a new range of tiles can be stressful. There’s so many choices, real stone or porcelain? Large format or modular? Gloss or matt? It can be a minefield, but we’re here to help and aim to make your experience as enjoyable and stress free as possible. We are there with you every step of the way, from initial ideas, to after sales support. We pride ourselves on being honest, approachable and easy to work with. As a family run business we take a personal approach with every customers individual requirements, helping them to achieve their aspirations using the best products available within their budget. A member of our experienced, knowledgeable team is always on hand to help by talking through different products, layouts and styles. Come to our showroom to view the broadest range of tiles displayed in room size settings. 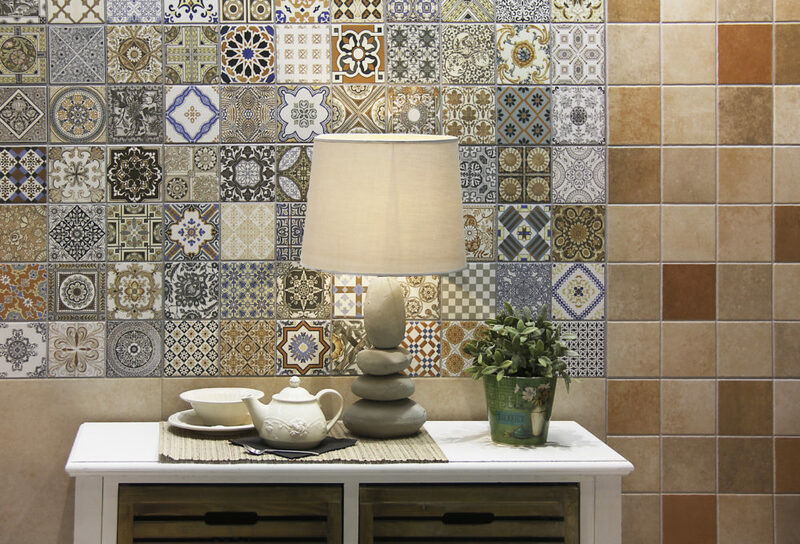 If you’re thinking of purchasing tiles, but are not sure where to start. Our step by step guide will help you understand the process. The very best place to start is our inspirational showroom so you can browse our displays. One of our experienced team will show you our extensive collections and discuss with you exactly what you want to achieve in your new room. Sometimes you don’t really know what you want until you see it, that’s why we have 20 room sized and fully tiled displays, with something to suit every taste and budget. So please pay us at visit at our Weymouth showroom. Once you’ve got an idea of which range or type of tile you would like, we’ll arrange a home visit on a time and day to suit you. During our visit one of our experienced team will measure the area to be tiled so that you know how many square metres of tiles will be required. We can also measure up for Electric Underfloor Heating if you would like. Once this stage is complete, a comprehensive quotation can be provided, to include tiles, heating and fixing materials if required. We can also arrange fitting for you if needed by one of our Recommended Installers.